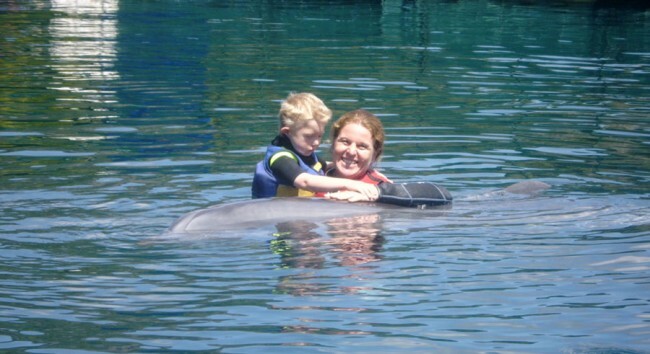 This was the first stay with the dolphins that Melanie herself wanted. 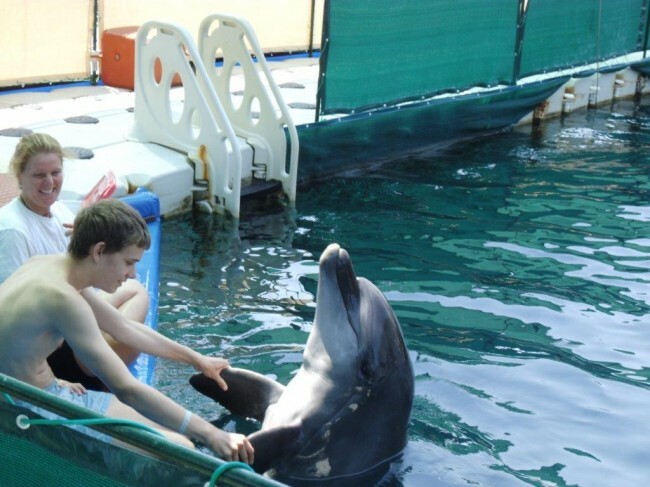 Over a year ago she wrote: “I would like to go see the dolphins once again”. When asked why, she says, “Because they are the only ones who can look in my soul”. In June of 2014 one of my dreams came true. I’ve always wanted to meet a dolphin and swim with him. 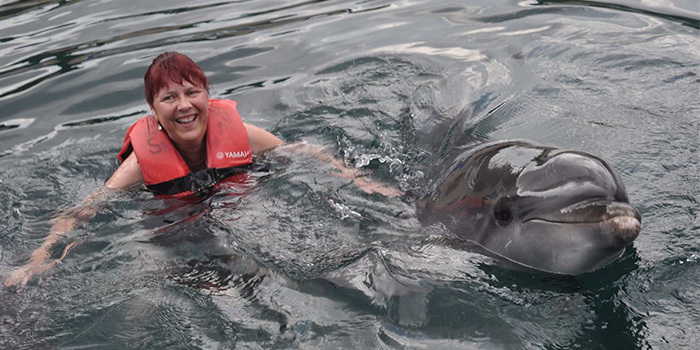 During our summer vacation in 2014, I and my husband were able to spend a wonderful day in the Dolphin Therapy Center in Marmaris. Axel Linke’s team greeted us warmly and accompanied us relaxed and happy through the day. Time and again we were able to observe the care and love with which they work with the animals. 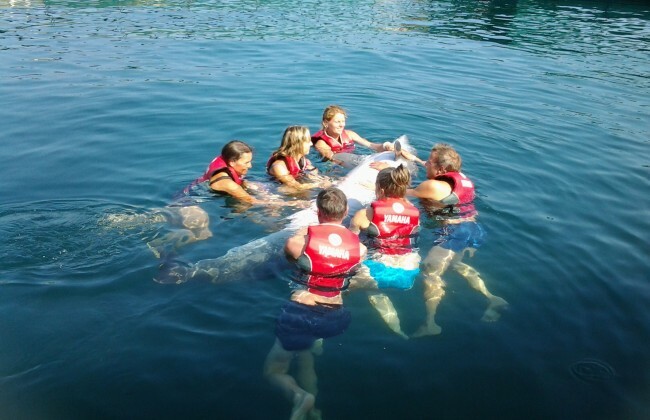 As preparation, the trainers gave us much information about the dolphins, and contact with the animals was handled step by step. The dolphins appeared quite calm and curious to us. Axel Linke also provided us with much background information regarding the Dolphin Therapy Center and dolphin therapy. The final high point of the day was swimming with the dolphin that was part of my program “Dolphin Trainer for a Day”. Because I was able to experience the atmosphere around the dolphin all day long, the dolphin swim was an extremely intensive experience for me. The impression we came away with was the competence and love with which the dolphins are treated. The well-being of the dolphins is ensured by great attention to their needs. 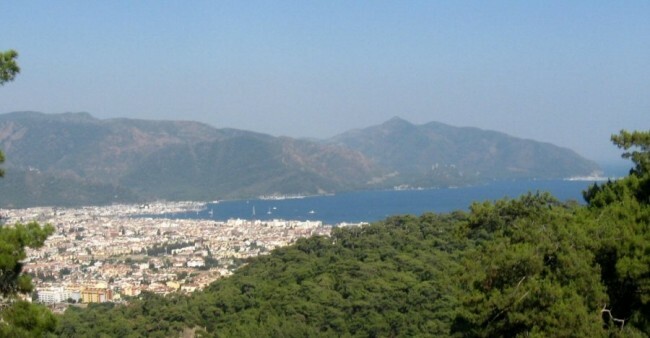 A big Thank You to Axel Linke and his team for an unforgettable day in the Dolphin Therapy Center Marmaris! The therapy was very, very successful for Johannes! He was able to improve significantly once again in all areas. His focus improved, he refined his gross and fine motor skills, his stubbornness decreased, speech comprehension improved, he is able to convert verbal information significantly faster, and he tries more and more to apply the words that he learnt.